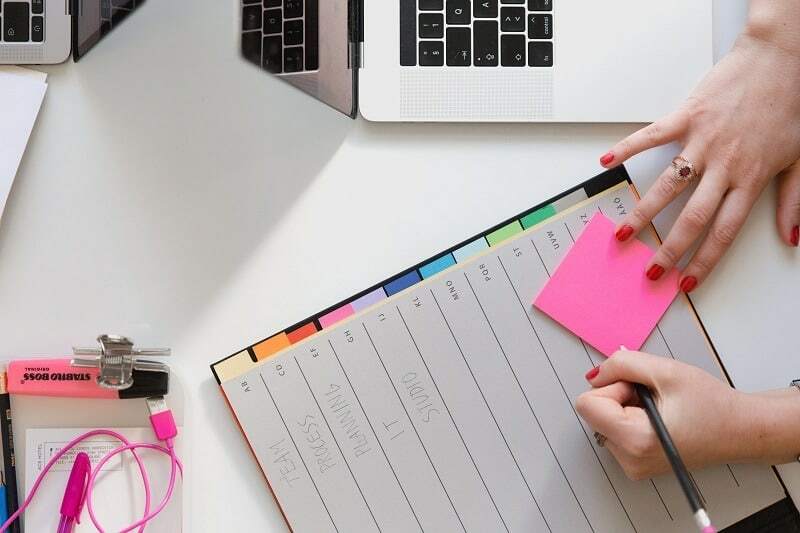 Whether you call it a newsletter, a regular email or updates, there’s this thing you need to send your email list each month. And it can be hard! What do you say in it? How do you balance news with information that helps them and also adds a little sales in there for your business? All of this is important but there’s one thing that can make or break the newsletter email – the subject line. 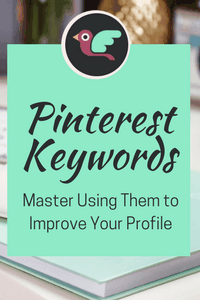 Get that right and you have a much better chance of fulfilling your email aims. 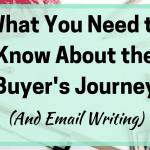 The reason behind sending regular emails (we will go with newsletters from here because it is easier) is because they are a core part of building a relationship with your subscriber. 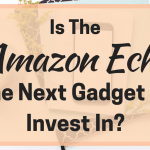 There’s a reason you asked them to subscribe and a reason they did it – you want to sell a product or service, you want traffic to your blog, they wanted your freebie, they want to hear what you say. Regular newsletters help to do this. They build the ‘know, like and trust’ element that is at the heart of inbound marketing. And it also means that when you do send promotional content, they know who you are. There’s a sense of recognition and they open your emails because they are used to receiving them. Whatever you call your regular updates, there is a bit of an art to them. The key is to keep communicating with your subscribers without going too nuts and bombarding them. It is also good to make sure you balance the promotional with the helpful or informative. One way to decide how often to send your newsletter is to look at how often others in your industry mail their list. Sign up for their lists, send them to a specific email inbox and take a look. Also, how do you feel about their emails? Too often or too rare? Too much promotion or a good balance. Their email list might be different to yours in size, age and such but it is still a good idea for some inspiration. You can also periodically send a poll or a questionnaire to your list and ask what’s a good frequency for them. Around one-third of email users unsubscribe because regular emails are ‘irrelevant or useless’ so you can avoid this by asking for their opinions. Sure you might still get unsubscribes, but you can’t please all of the people, all of the time. Armed with the frequent and content for your email newsletter, you may think that you are pretty much done and just need to pop it into your email software. STOP! There’s one really crucial thing you haven’t done yet or you might have done as a slightly second-hand, not well-considered thing – creating a subject line for your newsletter. What this shows is that your content can be amazing, useful and something your readers really need. But if you have a spammy, false or overly promotional subject line, nearly two-thirds of your emails could end up in the Spam file of death. And too many spam marks will have a negative effect on your overall account – Google will start to see you as spam no matter how legitimate you are. 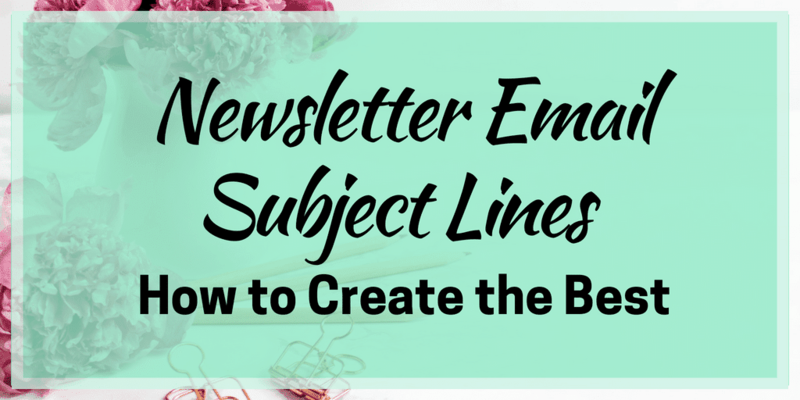 There’s definitely as much time needed when creating newsletter email subject lines as there is for the headline of your blog post. 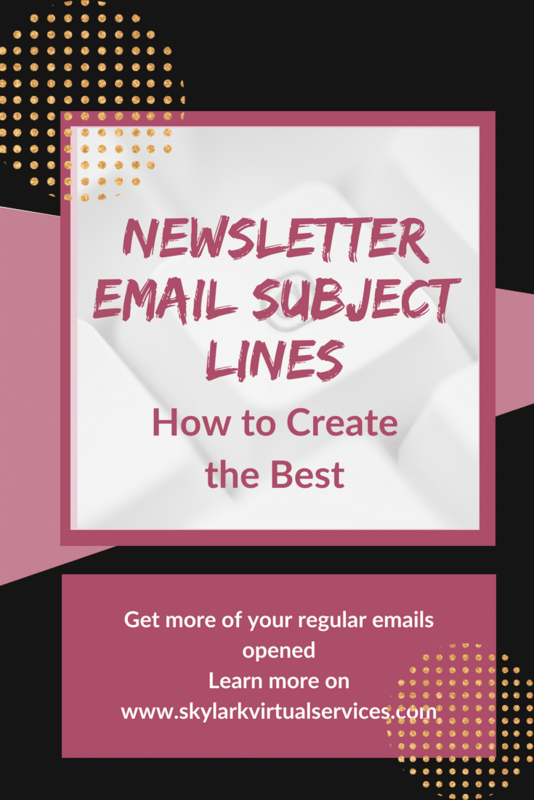 And like those headlines, there are some best practices and ideas to help you write everything from the best email subject lines for sales to a catchy headline for your regular email newsletter. 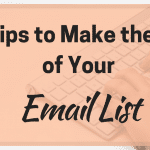 While you may not be able to get every one of these into every email subject line, aim for as many as possible where suitable. Adding a bit of urgency into the subject line can propel action, especially if your email contains something that is time sensitive, restricted or in some way liable to sell out. The old ‘act now!’ might not be the right approach but you can add a sense of urgency without sounding like an old TV advert. You can make people curious to open your email in lots of ways but always make sure you deliver on the promise. A little mystery, a hint of what’s inside can work wondered – just avoid clickbait. ‘Exclusive new offer’ shouldn’t be the normal price on your website, for example. If you have a special deal for them, a new offer or a freebie to deliver, don’t be afraid to add it to the email subject line. The old (+ Freebie) after your main subject line is great – just ensure you actually do have a new freebie in there! 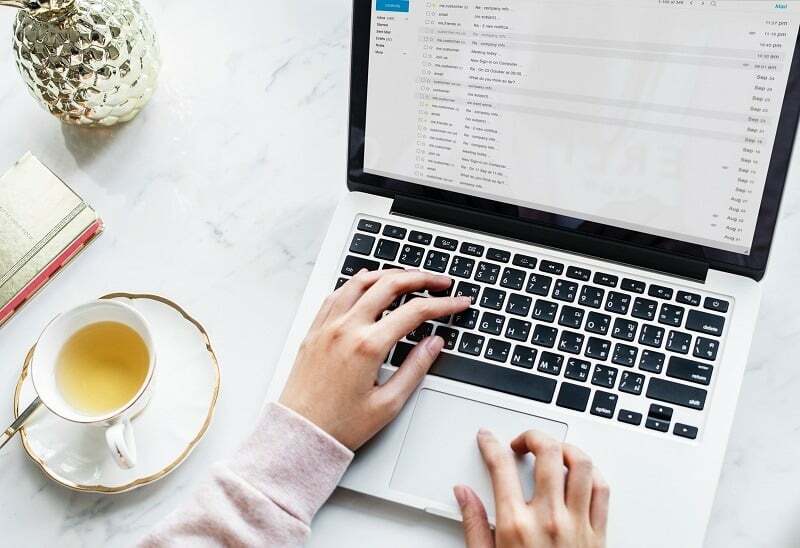 Once you have some ideas about how to create urgency, curiosity and how to let them know what you are offering, there are some other considerations to help you write the perfect newsletter email subject line. We live in a mobile world and we pretty much live on our smartphones. This has an impact on the length of the subject line we can see – 50 characters are about the average. Yet we routinely create subject lines that are too long and the 77% of people that use mobile cannot view entirely. Wasted effort! If you need to go longer, make sure the most important stuff is in the first 50 characters. Spam email is a pain and we all want to avoid it. We subconsciously decide about an email first by looking at the sender’s name. So make sure your name, business or blog name or other identifying information in the sender’s name to inspire confidence. Personalising email became big a few years ago and you got those emails where every other word was your name. Yuck. But a bit of personalisation, done well, can make a difference and most subscription companies make this easy. I use ConvertKit and with theirs, I can use their first name or a fall back if I don’t have it on file. This is good for a greeting and the occasional bit of emphasis. Use a little punctuation but don’t go over the top and the same goes for using all caps. One word for emphasis but not the whole thing! Once your list reaches around 100 people, you can start doing a bit of A/B testing and much of the top software out there help with this. With ConvertKit, I can send a sample of my list two email subject lines. It then sees which one gets the most opens and sends the email with this subject line to the rest of the list. Try not to make them too different so you can see what works clearly. Newsletter email subject lines and subject lines, in general, are a bit like blog post headlines. Not everyone will love all of them but that’s okay. Even the biggest businesses don’t get a 100% open rate for their emails! Have you experimented with email subject lines? What works for your audience? And what do you respond to yourself as a subscriber? Tell us in the comments!